When it comes floors, fall into two categories. Those who adore carpets, and those who can’t imagine life without a hardwood floor. If you fall into this latter category, and are going to soon be renovating or extending your home, you might be wondering about what options are open to you. Namely, do you go for laminate or real wood flooring? Both have their advantages and disadvantages, so we decided to take a closer look at these two floor favourites. Laminated floor is made from thin fiberboard, topped with an image of wood or stone, and then finished off with a final transparent layer. Laminate flooring is very easy to install, and can even be done by the homeowner. It uses a ‘floating floor’ design, where the pieces click together and doesn’t require any special tools or adhesive. One of the biggest benefits of laminate flooring is how cheap it can be upfront, especially when compared to real wood floors. Laminate floors can be acquired for as low as £5 per square meter - if not cheaper. However, if you want these to be professionally installed, this can rise to between £8 - £12. They’re highly water and stain resistant, so perfect if you’ve got a family with small children (or you’re just a little clumsy yourself). They’re also great for dog owners, as their surface can usually withstand the scratching of claws. Because of these reasons, they’re a great low maintenance option, and as we’ve already pointed out, a bargain for those on a tight budget. Like most hardwood floors, laminate doesn’t cope well with excessive moisture, and if they experience flooding the material can swell and become uneven. Because of this, they’re not recommended for bathrooms. Laminate floor also have a short lifespan, at least when compared to real wood floors. Because they’re made from photographs, they cannot be sanded and repaired if they become damage. Similarly, it can be hard replace boards, as the pattern used in the original might not be traceable. Many homeowners find that even with good care, laminate floors have to be replaced after 10 years. Real wood floors come from, you guessed it, real wood. They’re typically made from one solid piece, and tends to be around three quarters of an inch thick. Unlike laminate, real wood floors have to be installed by a skilled professional. It is nailed down to wood subfloors, and this can prove a problem to homeowners living above slab or concrete. 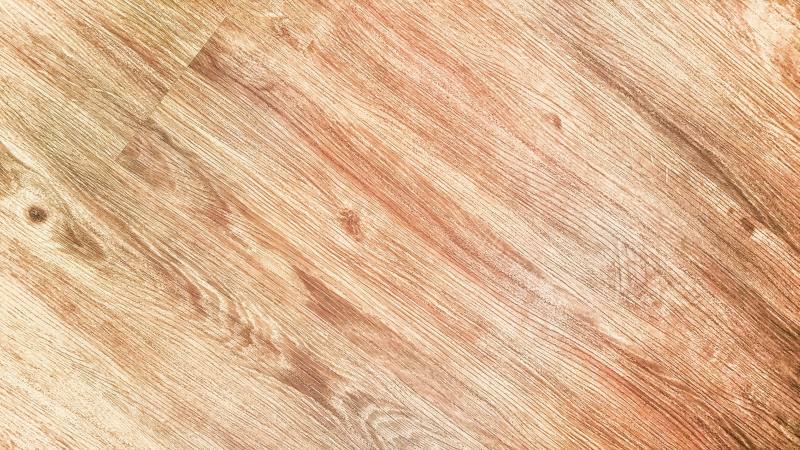 Real wood floors are significantly more expensive than their laminated counterparts. However, the benefits of choosing real wood do outweigh the initial cost - but more on this in a second. Prices for real wood floors can range from £15 - £70 per square metre. The biggest advantage of real wood is its capacity for repair. If the surface becomes dented or scratched, this can be fixed through sanding. In fact, with proper maintenance, a real wood floor can last a lifetime and beyond. For this reason, it’s seen as a better investment than laminated. And speaking of investment, many future buyers feel the same way, which is why real wood brings can actually add value to your house price. While real wood can be repaired, they’re also more susceptible to damage in the first place. Dropping heavy objects can dent the wood, and they can be scratched by pets’ claws. But on the whole, if you have the money, real wood flooring is an investment that will outlive any laminated substitute, and help you bag a better house price too.